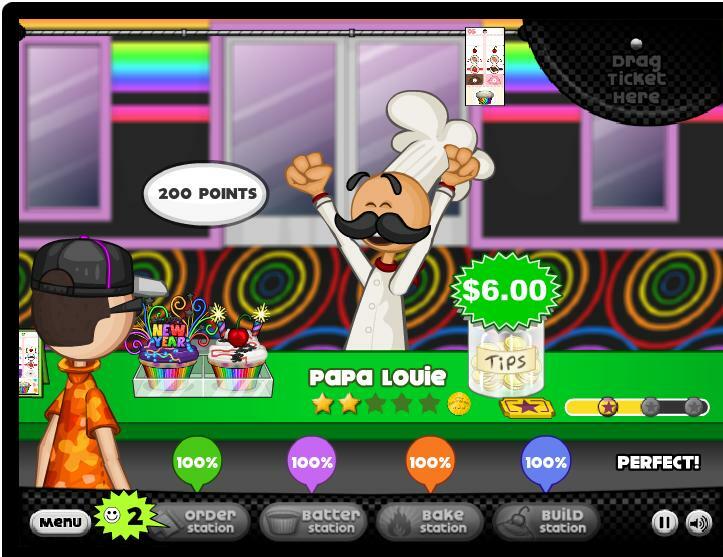 Papa’s Games are fun and creative chef-style restaurant games brought to you by Flipline Studios. 16 games, each with a different restaurant theme, featuring an employee working their way up the hierarchy of the restaurant. Starting at https://papasgames.io, you can earn promotions and wage increases the better you get. The game’s main focus isn’t time, as is often the case with other games with a similar M.O.. The customer’s rating, the pay, the tips, the points, and the employee’s position all depend on the quality of the dish and the presentation. Waiting time is considered in the overall scheme of things, along with ingredients, cooking time, and presentation. Papa’s Games follows the story of their entrepreneurial namesake Papa Louie – an exciting chef always up for an adventure. Each game opens with a short skit showing an employee arriving to the restaurant to find out that they are running the show themselves. The games have four stages in the restaurant process – order station, prep station, cooking station, and plating station. The employee must work his/her way up the ranks by getting better and faster at handling multiple orders from customers with a variety of requests. However, as stated above, hard work does not go unrecognized. There is so much to love about all of these games. With names like Papa’s Donuteria, Papa’s Burgeria, Papa’s Taco Mia!, and Papa Louie: When Pizzas Attack!, you know these games are gonna be good. The graphics are great and the concept of the game is different from similar games on the market. I like that its not about time, but quality. I have family and friends that have played at least one of these games, and it has actually been apart of our family digital game night. There are so many different restaurants to choose from and the processes are unique to the restaurant. Not to mention that you’re actually working for something. It may just be me, but I do see a message in this game. The employee works their way up, earning promotions and increased wages, and the menu gets better because the employee is working hard delivering quality service and being rewarded. I never have a problem with my kids playing this game, and it’s actually fun! Papa’s Games offers so many great games and their available on multiple platforms. I can play on my laptop, tablet, or phone. And I have different games on every device. All 16 games are available on Google Play Store, Apple App Store, and Amazon Appstore for Android.